On his 86th birth anniversary, ThePrint looks back at the life of one of Bollywood’s greatest comedians. New Delhi: Bollywood megastar Amitabh Bachchan once wrote about how yesteryear’s comedy king Mehmood — who apparently earned more than the lead actors of his movies — had nurtured him at a time when there was no dearth of naysayers in the film industry. “Mehmood Bhai was among the early contributors to my career graph; he having faith from day one in me, much against the wishes and comments of naysayers,” Bachchan wrote in his blog. 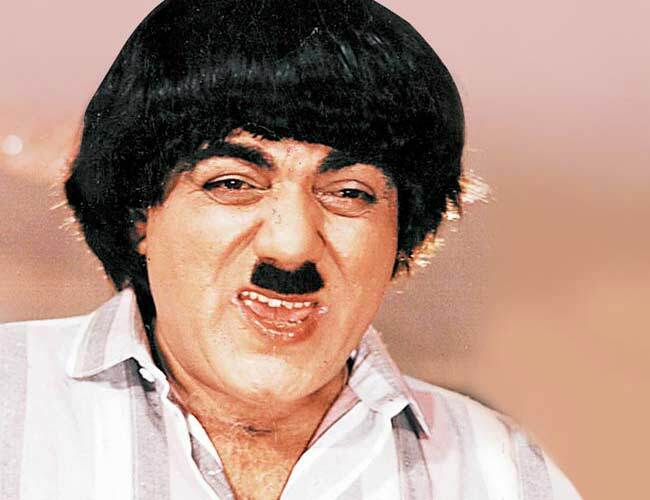 Often called the Hindi film industry’s greatest comedian, Mehmood Ali was born in 1932 to Latifunnisa and Mumtaz Ali, a well-known actor-dancer in the 1940s and 50s. His sister Minoo Mumtaz was also a widely acclaimed actor-dancer in the 1950s and 60s. Mehmood’s acting career began in his childhood. He was first cast in Gyan Mukherjee’s 1943 film Kismet, produced by Bombay Talkies, which also starred famed actor Ashok Kumar. But his journey was stalled by a financial hardship in his family. It was then that Mehmood got involved in menial jobs — he worked as a chauffeur for Raj Kumar Santoshi’s father P.L Santoshi. Mehmood got his first big break in the 1958 movie Parvarish in which he played Raj Kapoor’s brother. His roles in Guru Dutt’s CID and Pyaasa saw him playing supporting roles and not as lead actors yet. But, the genre for which the actor was immensely admired was comedy. It was the films of the 1960s, 70s and 80s that launched him as the ‘king of comedy’. Mehmood worked in more than 300 films. Mehmood bagged four Filmfare awards, three of which were for ‘Best Comedian’ — Pyar Kiye Jaa, Waris and Vardaan. It is believed that at the zenith of his career, Mehmood was paid more than the lead actors of the movies. Some even say that producers who were keen to brand their movies, mentioned Mehmood’s name in the film credits. So much so that, in the 1962 film Aarti featuring Pradeep Kumar and Meena Kumari, a character was specifically created for Mehmood. It is said that Mehmood used to earn Rs 7.5 lakh for just 14 days of shooting, a huge amount in those days. Mehmood married Bollywood’s popular actress Meena Kumari’s sister Madhu with whom he had four sons. His son Lucky Ali chartered a successful music career in the Hindi film industry. Mehmood married for the second time to an American, named Tracy and had three children with her. The couple adopted one more child when they saw her lying abandoned. Released in 1966, Pyar Kiye Jaa is an ultimate comedy in which Mehmood creates weird ‘sounds’ while narrating his story to Omprakash. Love in Tokyo (1966) was equally entertaining in which he plays the character of a Saudi man who speaks Hindi with an Arabic accent. In Bhoot Bungla (1965), Mehmood recreates the genre of horror-comedy. In this film, both Mehmood and music composer R.D. Burman, who also played a role in the movie, entertain us with their hilarious performances. The 1968 movie Padosan had an ensemble cast: Sunil Dutt, Saira Banu, Kishore Kumar and Mehmood. Apart from Mehmood’s comic sequences in the film, the song ‘Ek Chatur Naar’ saw Kishore Kumar and Mehmood give stellar comedy performances. The song went on to entertain generations of audience. The 1972 film Bombay to Goa had several comic sequences with Mehmood as bus conductor, having forced to deal with a range of funny characters. Mehmood breathed his last on 23 July 2004 in Pennsylvania where he was undergoing medical treatment for his cardiovascular disease. His body was brought back to India, in Mumbai’s Mehboob Studio, for people to pay homage. Previous articleWhat happened the first time you used Google?